Q: I’ve been with the same performing rights organization since I released my first album on CD Baby, and I’ve never received any royalty payments. A lot of my artist friends are in the same boat. Can you explain how these organizations pay royalties, and how independent artists like me can get paid? SHOW ME THE MONEY! (Just a little example of fair use). I love helping the #IndieRevolution learn how to make more money through their art, so let’s dive in! Performing Rights Organizations, also known as “PROs,” pay revenues to writers and publishers for public performances of their music, primarily through radio, television, and live performances. In the United States, the PROs are ASCAP, BMI, or SESAC. Each of these organizations negotiate and collect license fees from various entities that publicly perform music, and then they distribute royalty payments to their members. Now, I realize that reviewing these pages without guidance might seem as brain-wracking as notating an Acid Jazz score, so I will attempt to explain some of the basic concepts behind PRO royalty payments here. Generally speaking, PROs pay royalty payments for featured radio performances on commercial radio, as well as college radio, satellite radio, and NPR. PROs also pay for music performances on TV and cable networks. How do they know when your song is being publicly performed? The process is almost as mysterious as the reason for having an “s” in the word “lisp.” For radio, the PROs generally use a combination of digital tracking technology and radio station logs. For TV/cable networks, the PROs rely on a census of music usage from cue sheets sent in by various sources. Both ASCAP and BMI “follow the dollar” in paying royalties, so that money collected from radio stations gets paid to members for radio performances, and money collected from TV stations gets paid to members for TV performances, after certain operational expenses are deducted. Now, here’s where it gets interesting, and about as tricky as trying to pull off a Barbershop Quartet with only two people. * for TV and cable performances, the time and length of the performances (with longer clips receiving higher royalties, and prime time paying more than late-night or midday programming). Second, not all songs are weighed equally. “Premium” or “bonus” royalties are paid for “hit” or “standard” songs, as well as popular TV theme songs or certain featured/background music. And, if you’re one of those artists who like to write commercial songs like “Wreck of the Edmund Fitzgerald” that are over six minutes in length, BMI will pay you double the royalty credits for convincing someone to actually play it on the air – good luck with that one though. WHY DO INDEPENDENT ARTISTS REPORT GETTING LITTLE OR NO ROYALTIES FROM THEIR PROs? There are a few key reasons why many independent artists report getting paid little to no money from their PROs. * Royalty payments are paid out of a royalty pool. However, as explained above, not all performances or songs are paid equally. For example, in radio, the majority of royalties go to artists who have hit songs played on commercial radio, where the negotiated license fees are higher. Who gets regular airplay on commercial radio? Major recording artists with the marketing funds to make a song a radio “hit”. * As discussed below, the PROs do not consider it cost-effective to survey every potential public performance venue where live shows may take place. In reality, this would be about as hard to do as watching your eighteen year old daughter leave the house for a date with Tommie Lee. That said, there are a number of non-surveyed venues that still pay license fees. What happens to those fees? Let me explain by way of example. Let’s say you perform six times a year at Christiane’s Coffeehouse (that’s me), and I pay my license fees to all of the PROs. Logic serves that you should get paid royalties out of a portion of the license fees I paid to your PRO, right? Not exactly. Christiane’s license fees go into a “general licensing allocation” pool, which – and this is a mind bender – gets applied and redistributed to artists for broadcast feature performances on radio, and all performances on TV. Once again, this practice benefits major artists over independent artists. On a positive note (middle C, ha ha), remember this: You can’t win the game unless you know the rules. Winning the game of independent artists making a ton of money off of commercial radio airplay may be as challenging as a one-fingered trumpet player pulling off “Flight of the Bumblebee.” However, in the world of TV placements, music supervisors have been very open to placing independent music in network TV spots in recent years. I truly believe, given the amount of quality independent music being produced, that this is a royalty game that independent artists can play and win. Historically, the PROs only surveyed and paid live performance royalties to the “top 300 (and before that, the top 200) concert tours and/or concert events/festivals.” Once again, this practice benefited major artists, with independent artists rarely getting any royalty payments for live public performances of their music. This is finally beginning to change. 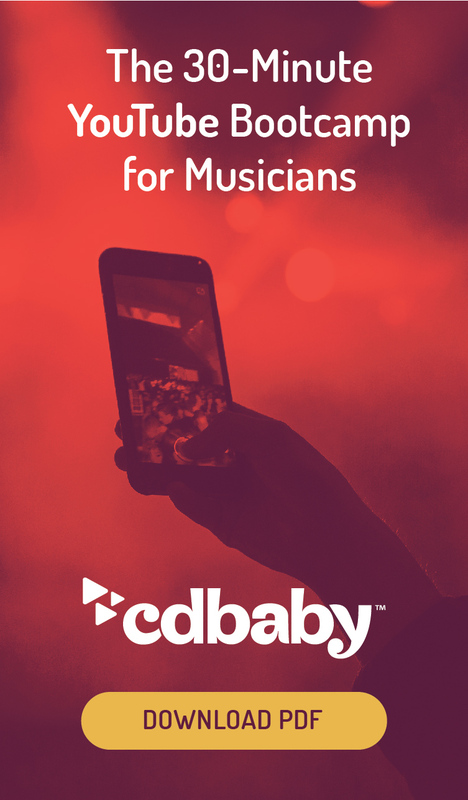 All of the PROs now have programs in place where artists can report their live performances and set lists, and get paid for shows in unsurveyed venues. This makes me as happy as when my husband says he doesn’t want half of my Del Taco Churro. For the first time, independent artists can perform their own music in a small venue like Christiane’s Coffeehouse, and actually get paid royalties for it. What a concept! The programs are ASCAP OnStage, BMI Live, and SESAC’s Live Performance Notification System. If you’re a member of one of these organizations and you aren’t using these programs yet, please check them out. You have a limited amount of time to input your live performances and get paid for them (between 3-6 months), so the sooner you get into the habit of reporting your live shows, the better. Another cool opportunity offered by ASCAP that benefits independent artists is the ASCAPLUS Awards, which provides cash and recognition to writers who create music with a value beyond the scope of performance surveys. If you are an ASCAP member, check it out! You have to be registered for direct deposit, and apply for award consideration before September of a given year to be considered, and distribution payments are made in January of the following year. Now, in terms of reporting live gigs, here’s a practical, common sense tip: Live venues are required to pay a fee to the PROs if music is publicly performed there, unless they fall under a very limited exemption under the copyright act. However, some of the smaller, unsurveyed venues may be operating unaware of this requirement. Check with your booker or venue ahead of time to make sure they have their public performance licenses in place, before you report a live show to your PRO and inadvertently draw a big target on the venue’s proverbial forehead. In an ideal world, you can focus on booking shows in venues that have their public performance licenses in place, and that way, everyone wins. So, to sum up: Independent artists can get royalty payments from their PROs, and understanding the rules of how these royalty payments are made is an important step in the process so you can make informed decisions about where and how your music is publicly performed. Today, you can even get paid for performing your own songs at that small club down the street, just as long you have properly registered your songs with your PRO, and you report your live shows right away. I know how you love your fine print, so I shan’t disappoint. Oh, and I want to underline one last thing. Thanks. © 2012 Christiane Cargill Kinney. All rights reserved. This Blog contains information of a general nature that is not intended to be legal advice and should not be considered or relied on as legal advice. Any reader of this Blog who has legal matters involving information addressed in this Blog should consult with an experienced entertainment attorney. This Blog does not create an attorney-client relationship with any reader of this Blog. This Blog contains no warranties or representations that the information contained herein is true or accurate in all respects or that it is the most current or complete information on the subject matter covered. Why DOES Geico have three different spokespersons? It’s still a mystery to me. Christiane Cargill Kinney is a Partner and Chair of the Entertainment Industry Team of LeClairRyan, LLP.